It’s finally time, console-gaming Fortnite fans. 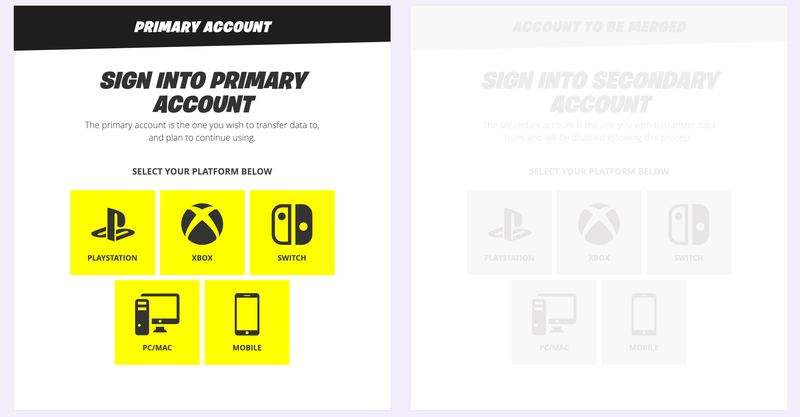 Epic has created a way for to merge Epic accounts if you created separate logins on your PlayStation 4, Xbox One, and/or the Nintendo Switch. If you’ve purchased V-Bucks or items on a platform you don’t play with regularly, you can now bring everything into your primary account. Confused? Here’s why Fortnite needed this feature. Prior to Sony starting its beta for cross-platform multiplayer last fall, you had to create a separate Epic account to play Fortnite on the PS4—even if you already created an account on another platform. And whatever progress or money you made on one account couldn’t transfer over to the other. If you switched platforms to play with friends or simply found you preferred one over another, you may have had to leave some money and progress behind. Back in September of last year, Sony started allowing Fortnite to participate in cross-platform play, which solved this account issue for new Fortnite players. The gamers who got stuck before, though, we're still stuck. Epic’s account-merging feature combines your purchases (and some game progress) to the account you use regularly and deletes any other account you made because you had to. You can then use this primary account on any platform since every version of Fortnite now allows for cross-platform play. To merge your accounts, simply go to Epic’s Account Merge page and follow the instructions. I recommend picking which account you want to keep before you start, so you can make sure to log into it as the “Primary Account” during the first step of the merge process. You can only merge accounts tied to game console networks—PS4, Xbox One, and Nintendo Switch—that were used at least once before September 28, 2018. You also cannot merge banned or suspended accounts. Merging accounts will transfer your V-Bucks and cosmetic items from Battle Royale. 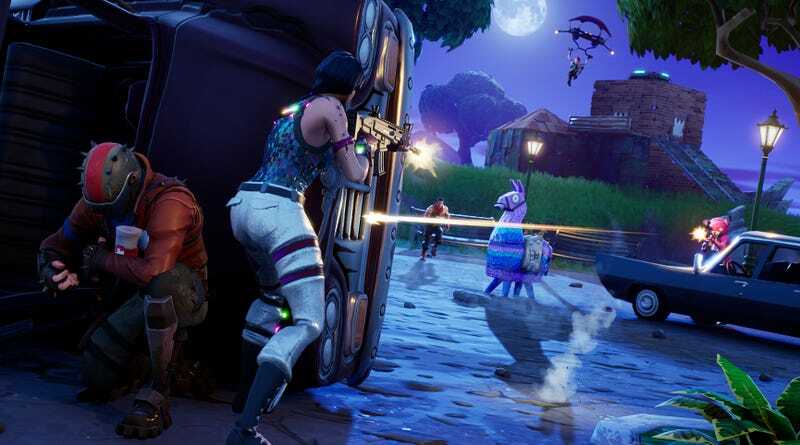 If you’ve been playing “Save The World,” you will bring over your secondary account’s XP, Heroes, Llamas, Defenders, Schematics, Survivors, Evolution and Perk Materials. There are a few things that you cannot transfer to a new account, like your Battle Pass and maps made in creative mode. If you have a Battle Pass active or maps you want to keep on one platform, make sure to select it as your Primary Account to keep your work. Your account level and progress in “Save The World” will not transfer, either. Don’t freak out if you don’t see new items and/or V-Bucks in your unified account right away. Epic said it takes two weeks for in-game items and V-Bucks to transfer from the secondary account to your primary account. Breaking news, my friend! Anyone who needs substantial Fortnite Items at a reasonable price, we have a treat for you now. GAMEFO is providing a great service for Fortnite Items for sale, along with big discounts as well. Follow the Fortnite Weapons or Fortnite Materials to view more details or purchase now!